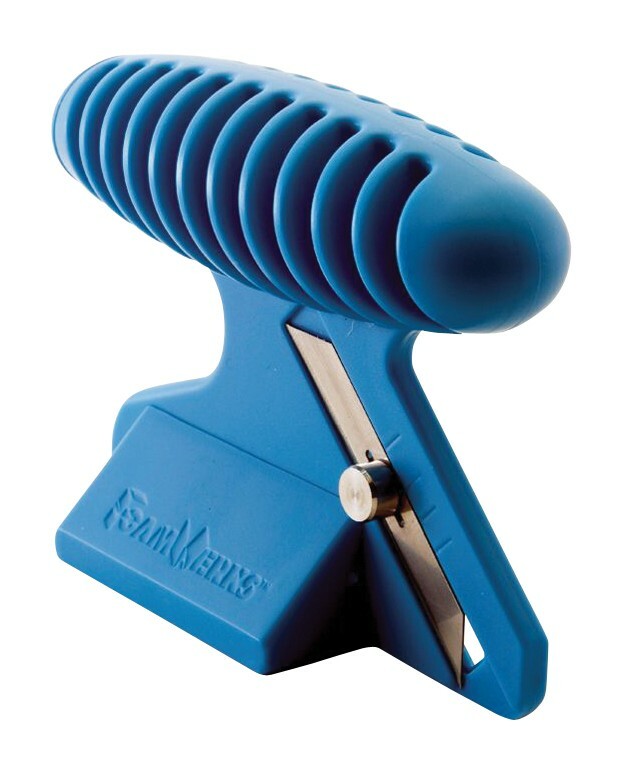 Foamwerks Foamboard Straight & Bevel Cutter - GS Direct, Inc. Specially designed for use with foam core products. Versatile tool provides two cutters in one tool! Simply rotate the angled base block and it transforms from a straight cutter to a bevel cutter. Use with any straightedge. Features include adjustable blade length, ergonomic handle, and built-in blade storage. Also includes two replacement blades.